Transforming the world; Connect! Discover! Let each experience fascinate you! Honolulu Daijayama, Chibikko Daijayama, Hirosaki Neputa, Saitama Ryujin Matsuri Kai, Dai Hirai, SUGAREN, TAIKO KOZO, Sonoda Gakuen High School,ka Gakuin University Phoenix Cheerleading Team, Jaran Aboriginal and Torres Strait Islander Dance Company, SEULGIDOONG, Taipei National University of the Arts, Hempfield Area High School Concert Band and Jazz Band, Hawaii United Okinawa Association, Anuhea and more. 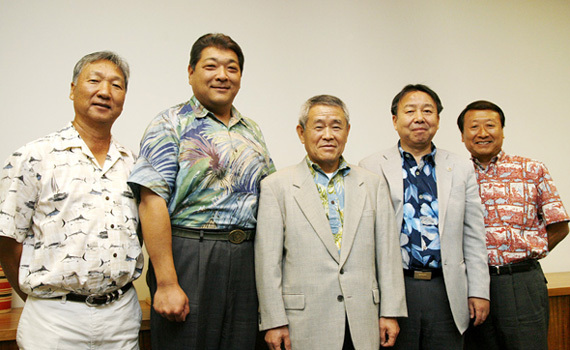 Symposium "3/11 Tsunami Debris: Japan-U.S. Collaborative Effort"
We were given an opportunity to interview Mr. Kazuo Nizawa, who is Vice President of the Executive Committee for Developing a Bridge of Friendship between Japan and USA.